Jes actually listed this as "Wear shirts with glitter" but I don't actually own any tops with glitter. Or anything with glitter. I do, however, own a lot of things with sequins! 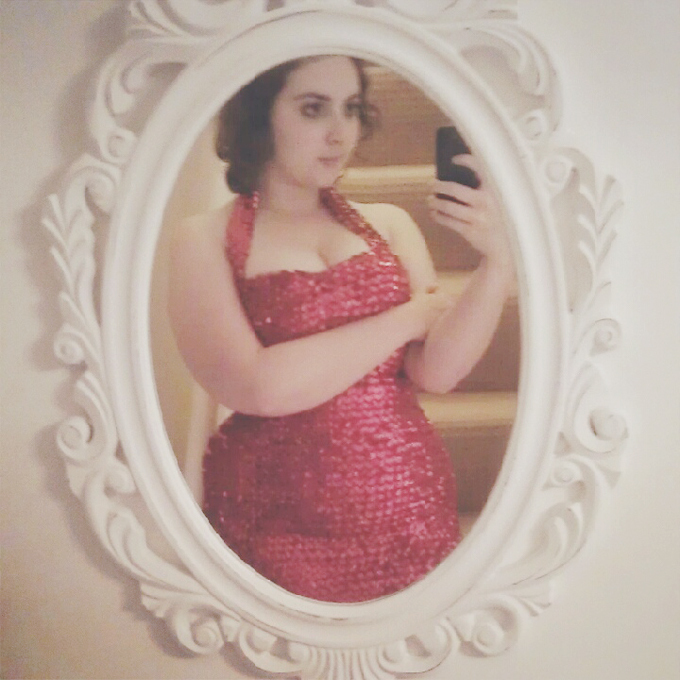 I picked up this amazing red sequinned dress in a charity shop and I had to have it. It was labelled as a size 8 but I thought I could stick it on Doris as a decorative piece. When I got it home, it turned out it was super stretchy and I could squeeze into it. I feel like the love child of Julian Clary and Jane McDonald in it! 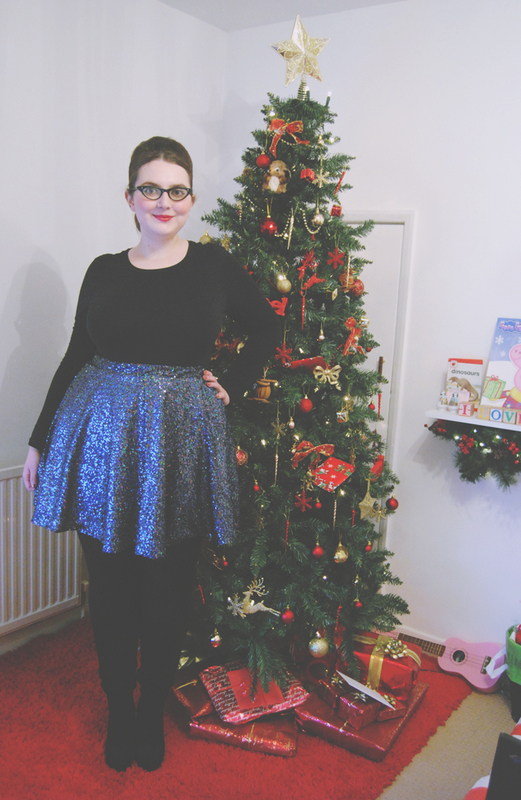 Sequins are a must for Christmas, of course! I love my Topshop skirt. My mum bought these shoes when I was 16. It feels great to still be able to wear something I wore as a teenager! Maybe I'll wear all three together sometime! Julian Clary and Jane McDonald love child! hahaha oh my god I wish they did have a child! this series is so funny and ridiculous! can't beleive someone came up with these *rules* you look beautiful as always! that dress is absolute LOVE. I've never actually worn this one out. I should really rectify that! You have the perfect hourglass shape! You look amazing and the dress is very Jessica Rabbit-esque aha (who I adore). I thought of Jessica Rabbit as soon as I saw it... and Geri Halliwell! The picture of you in the red dress is absolutely gorgeous! Ive been a longtime reader but this is the first time ive ever commented. LOVE this dress on you! Hi Cindy, So glad you commented. Thank you very much! Jessica Rabbit comes to mind. Maybe you should go red head? I dyed my hair red a couple of years ago. It was a disaster haha! I love it all!! Oh my gosh! Sequins everywhere :) You go girl!